The Tallinn Marathon has won a sure place in the competition calendar of runners and has become an attractive destination for running tourists looking for new experiences. About 20 000 running enthusiasts from 56 different countries participated in the 2017 event. As a tradition, the marathon will take place in every second Sunday of September, this year 9thof September, and the participants will have a choice to run either a marathon or half-marathon. 10 km and Mesikäpp Children races will take place a day eariler, on Saturday 9th of September. All walkers and Nordic walkers are also welcome to attend the 10 km race. Make sure to attend or come support We Run Tallinn for youth, which will take place a Friday evening, 7thof September. 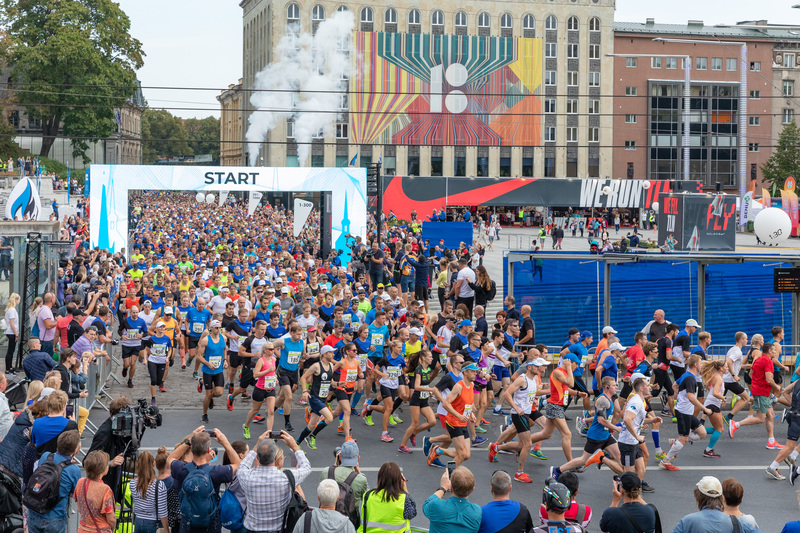 Similarly to most well-known international running events, the route of the Tallinn Marathon will run in city centre, passing through both the Old Town and the modern centre and by several well-known sights. The route conforms to international standards and is relatively fast; the weather of the region in September should also be favourable to running. This attracts fast runners from countries with strong running traditions and allows hobby runners to attempt breaking their own records as well. But the main benefit is the joy of moving together with thousands of great runners. We wish you pleasant running experiences in the capital of Estonia! Tallinn is an ancient and modern city between the East and the West. It is exactly this combination of old and new that the course of Tallinn Marathon will introduce. It is hard to describe the beauty of these sights – one must see them for oneself! Tallinn may be small compared to the world's metropolises, but in marathon terms, it is up there among the greats. The SEB Tallinn Marathon is a great way to showcase our beautiful capital city for visitors. 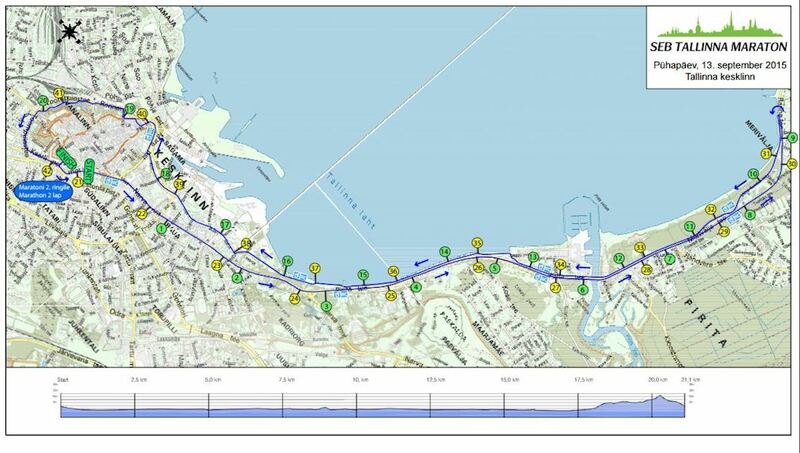 The route takes participants through unique areas of the city – from the city centre and Kadriorg park to Pirita, as well as around the Port of Tallinn and through the Old Town. However, the race is not only designed for visitors of the capital; Estonians from all over the country are very much welcome to take part. A total of about twenty thousand runners take part in various distances; the participants usually come from about 50 different countries. Very many great cities in the world introduce their sights through the marathon distance, be it through the Berlin, London or New York marathon. While Tallinn is tiny compared to these cities, it is still very rich and unique in sights – the Old Town, the city wall with its towers, the Freedom Square, the green parks and so on. Tallinn is an ancient and modern city between the East and the West. It is exactly this combination of "old" and "new" that the course of Tallinn Marathon will introduce.